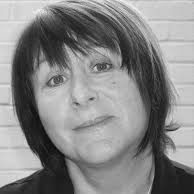 Sue Colgrave has been a theatre practitioner for over 30 years. As an actress, she worked extensively in theatre, television and radio. As a director, her work has encompassed a wide range of material from Shakespeare, Brecht, Berkov through to cabaret and contemporary opera. She spent/miss spent her youth in the various theatres of the U.K. and as a result has a passion for popular forms. For the last 12 years, she has premiered and revived actor-musician shows for the Edinburgh Fringe including Piaf, Oh What a Lovely War, Road, The Overcoat and The Laramie Project. She was part of the pioneering teaching team on the Community Theatre Arts Course at Rose Bruford College holding a number of posts within the institution culminating in leading the colleges 4 degrees in Directing, Acting, Writing and Actor Musicianship as Head of the School of Theatre. As developer, documentor and teacher her expertise covers many areas of theatre practice and actor training. She has guided over 3000 students towards a career in the theatre and related arts creating over 50 original plays along the way! Her long-term collaboration with composer and musician Colin Sell resulted in the creation of the innovative Actor Musician BA, Hons Degree for Rose Bruford College. International work includes dissemination for the Project in European Theatre Arts, working with young actors in Belgium, Portugal, Germany and Romania. Six seasons directing graduating actors in the Conference of Drama Schools New York Showcase. Drama Teacher development for Lamda. As well as her work as a freelance director she has been Head of Third Year on the BA, Hons degree at Italia Conti Academy for the last ten years. Her passion is to encourage, facilitate and inspire artists of all ages to express themselves through drama and theatre.